I will not belabor the platitude that the postcranial record of Mesozoic eutherian (or other) mammals is still relatively poor, and that such a state of affairs makes for very tentative conclusions regarding locomotor adaptations in the stems of various higher taxa within the Eutheria, Metatheria, and Theria (the latter restricted here to the concept of monophyletically tri-bosphenic mammals). There is certainly overwhelming evidence that the extant Metatheria had a specifically arboreal ancestry, except perhaps for the Caenolestidae, the stem of the Sudameridelphia (Szalay, 1994; Szalay and Sargis, 2001), and for some early lineages like Asiatherium (Szalay and Trofimov, 1996). Similarly, there is little doubt at present that the last common ancestor of extant eutherians (all placentalians), various extinct Cenozoic groups, and lineages related to these extending back to the Cretaceous, were derived of a terrestrially committed stock, the stem of the Placentalia (Szalay, 1984, 1985, 1994; Szalay and Decker, 1974; Szalay and Drawhorn, 1980; Szalay and Lucas, 1993, 1996; Szalay and Schrenk, 1998). Prior to the recent description of some postcranial remains of Cretaceous mammals the same may have been said of the then known Eutheria (Szalay, 1977). But beginning with the increased recovery of a variety of cladistically unquestioned eutherians from the Cretaceous in the last three decades, it became apparent that the eutherian branch of the Theria probably had a great variety of postcranial properties that cast serious doubt on the wholesale categorization of the stem Eutheria based on the extant forms and Cenozoic fossils. 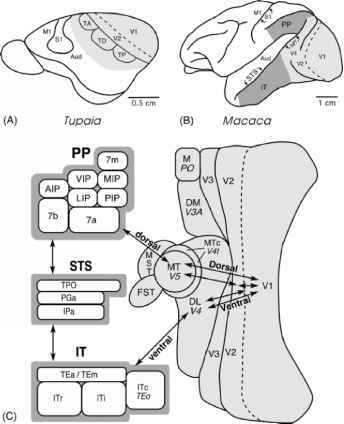 Szalay and Trofimov (1996, Figure 26) made the suggestion that the early, basal, radiation of the Eutheria probably retained a reproductive strategy that could be characterized as "marsupial" in a general way, and from such an undoubtedly many-branched paraphyletic entity (dubbed above as Eoeutheria) arose the last common ancestor of, what I call here, the Placentalia. All of that implies that there is no simple way to characterize the postcranially unknown lineages of 60-70 MY of evolution prior to the Cenozoic. For example Kielan-Jaworowska (1975) reported the presence of epipubics in a clade of early eutherians, and more recently Horovitz (2000) described the tarsus of the asioryctithere Ukhaatherium, also from the Cretaceous of Mongolia. The palmate and broad proximal fibula of Ukhaatherium, among other features, suggests grasping (as inferred from a well developed peroneus longus that is probably indicated by that type of proximal fibula; Argot, personal communication), and its highly mobile calcaneocuboid joint suggests a marsupial-like mobility of the foot. An ongoing study (Szalay, Sargis, Archibald, and Averianov, in preparation) of mammal postcranials from the Santonian Cretaceous of Uzbekistan (see Archibald et al., 1998) will also help the ongoing assessment of problems regarding early locomotor strategies in the Eutheria. To complicate matters even for the archimetather-ian (early) marsupial radiation, the skeleton of Asiatherium, from the semiarid environments of the Late Cretaceous of Mongolia suggests a terrestrial locomotor strategy, very tentatively.